I am making cards and icons for a board game I developed in PPT. All pieces have two sides to them and for economies of scale all the the pages are filled with different cards or icons. I am having trouble printing the pages back t back so that the images line up. Here's how it prints when selecting the long edge option. Here's how it prints when selecting the short edge option. Seems you are having a challenge envisaging the needed backside layout. So your idea with the lamp is great. 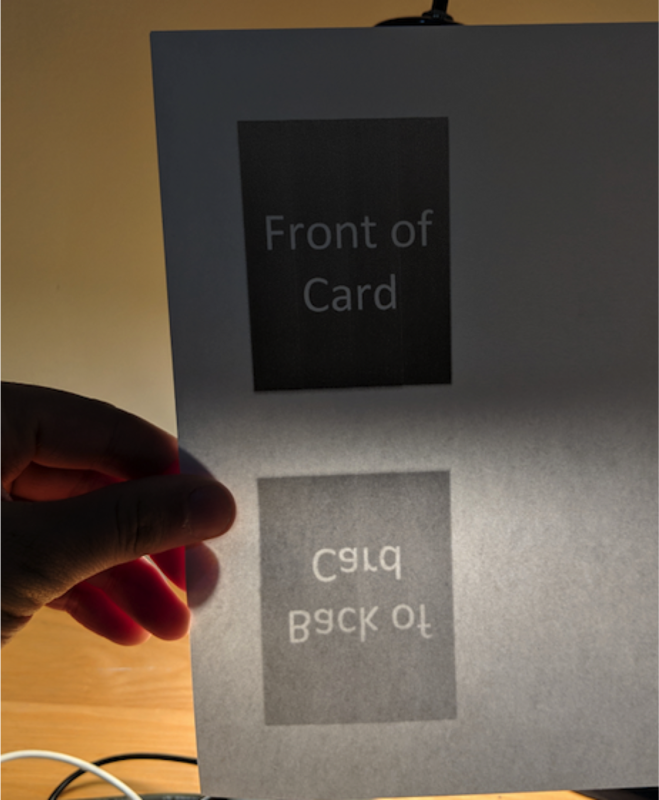 Next step: Use a pin and prick through the paper on the top-left and top-right and bottom-right (but not bottom-left) corners of your (first) Front of Card. Then turn the paper and draw the respective Back of Card. Only prick the next card, when you have drawn and labled the first one. Etc. 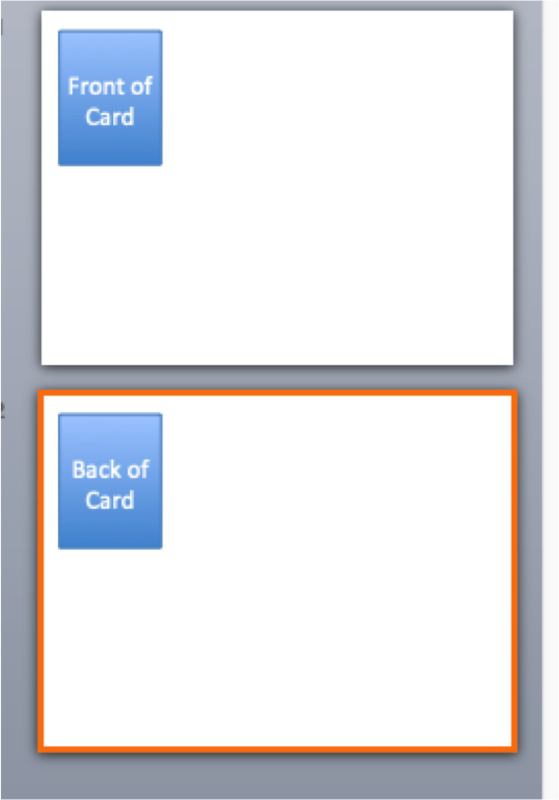 Once you have done this for all elements, you have the plan to layout your back page in your MS Powerpoint(?). Scott and Billy are doing this inside their heads, and they got it right (pun intended), because they have done it five billion times. Paper models are great for beginners and they save trees, avoiding messed recto-verso print runs. After you have done this a few times, your brain will learn this front-back thinking. Not the answer you're looking for? Browse other questions tagged print-design print-production microsoft-powerpoint or ask your own question. 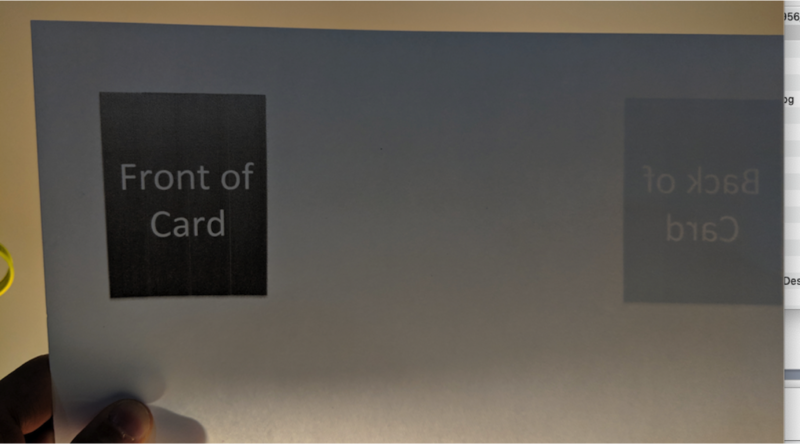 How do I lay out numbered business cards so I can easily print and hand-cut them?